Best known for his role as an excavator and rock truck operator in the success of the reality TV documentary, Gold Rush, Rick Ness is one American gold miner who is taking the industry by surprise with his adventurous and unimaginable experience in gold mining. Back in his younger days, Gold mining was never among Rick’s wish list. If anything, he desired to become one of the best footballers known globally or one of the best upright bass players in the world. Ness joined the mining sector with little or no experience but within a short period, the upright bass player turned out to be one of the best miners in the season 3 of Gold Rush. Today, his presence in the Disney Channel’s TV documentary has earned him the required fame and wealth. Following his fame on the TV show, people are quite excited to know more about him, particularly as relates to his private life. Here are more facts to know about the miner. Rick is a native of Milwaukee WI but was raised in Michigan. He was born to his mother Judy Marie Bedard and his father Richard Ness on March 5, 1981. With a decent height of 5 feet 11 inches, Rick’s is of white ethnicity and his nationality is American. He loves sports, particularly cycling and football and is also fond of gymming, and tattoos. It was his passion for being a football player that led him to play for his college team until he sustained a head injury which eventually ended his career in football. 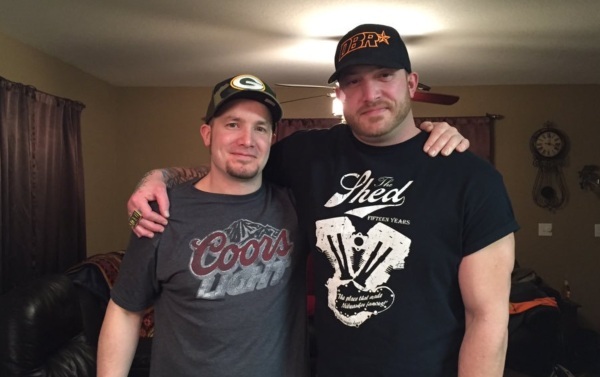 Recovering from his injury, Rick Ness turned to music. He decided to learn more about bass after attending a concert with different band groups. After gaining all the required training, he went on to form a band group called the .357 string band. The band members included Billy Cook on mandolin, Dobro, guitar and vocals; Joseph Huber on banjo, fiddle and vocals; Derek Dunn on guitar and vocals; Jayke Orvis on Mandolin and vocals; and Ness on upright bass. The .357 string band who dubbed their sound, “streetgrass” made songs that had Americana dark roots including “the fatalistic murder ballads, sneering Outlaw Country and unforgiving gospel. They released three albums namely Ghost Town, Lightning From the North, and Fire & Hail while they were still together. It was during one of his tours with his band that he met Parker Schnabel, Gold Rush’s lead star. While in talks with the star, Rick expressed his interest in the documentary show and about nine months after, he received a call from Schnabel to join the show. Ness quickly traveled to Alaska for gold mining. Rick Ness joined the third season of Gold Rush and built an affable relationship with miner Parker Schnabel. Rick also operated heavy machines like the loader, dozer, and grader for Parker and after about six years of work experience on the show, he left Gold Rush to mine his own gold. Rick Ness has gained a lot in terms of experience and wealth from gold mining, thanks to his singing career that united him with Parker Schnabel. Today, as a gold mine boss, Rick Ness is believed to have $600,000 as his estimated net worth with about $150,000 as his annual salary. 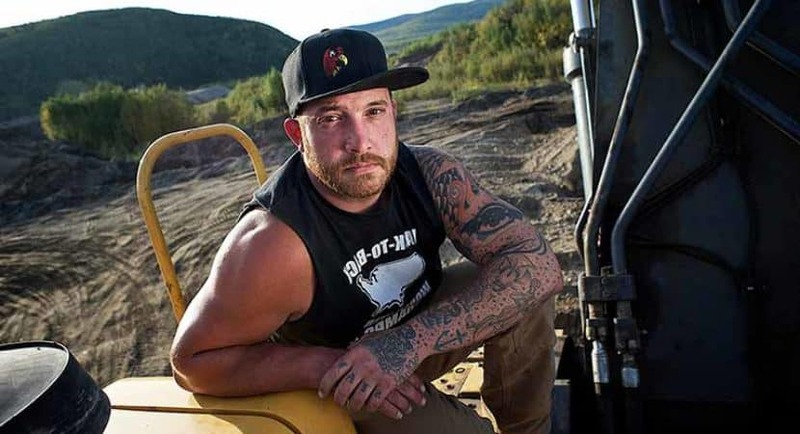 As earlier mentioned, the reality star is the son of Judy Marie Bedard and Richard Ness but only a few know about his twin brother who goes by the name Randy Ness. Both Rick and his twin brother grew up together and worked in their family business known as Roy Ness Contracting and Sales Inc. The construction company was built by their grandfather in Michigan, Escanaba. It was at the construction company that Rick learned how to operate heavy machinery which helped to a great extent in his success in Gold Rush. His brother also works in the family business as a mechanic. Rick’s parents divorced some years back and Judy moved to Rhinelander area, Michigan in 2003 with the children. There, she ran a sandwich shop she named Subby’s on Brown Street. She also worked as a corrections officer and a secretary at the Oneida County Sheriff’s Department before she died from cancer on March 20, 2018. Rick Ness is not yet married but his twin brother, Randy is married to his wife Jen Ness and together they have children of their own. Rick seems to enjoy his life as a single man as he is yet to reveal anyone as his girlfriend. He prefers to use his spare time to ride motorbikes or engage in some tattoo works as we can see on different parts of his body.